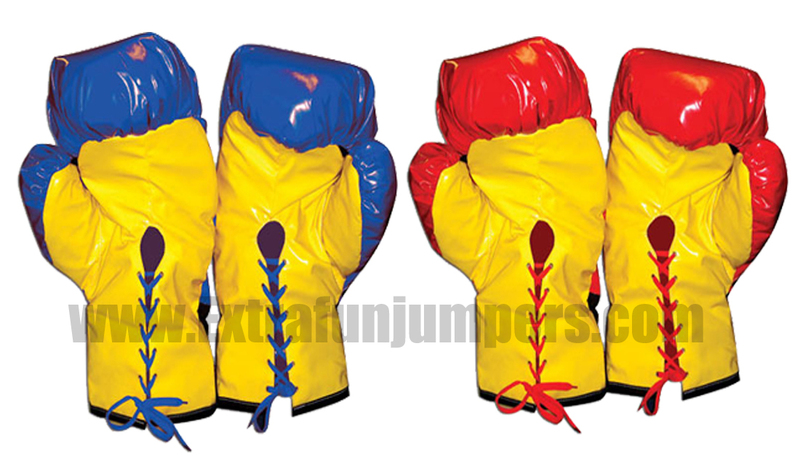 2 pairs of Jumbo Boxing Gloves that are designed with a handle inside for comfort. Made with extra padding and cushion for safety. Can be used with any inflatable.